I truly love working with people from all walks of life… years of experience helping people buy and sell their homes with the highest level of service, regardless of the price range! Don’t just take my word for it, please check out what others have said about my work. Throughout my years in real estate, I’ve never been about “the hype”, but rather, always about the people. From the very beginning, I have believed that this business is really much more about dreams and hopes than the actual houses themselves. I know a lot about “houses”, but I spend most of my time helping you meet your needs and desires. After al, our lives are what turns houses into homes! For me this means, REAL Connections, REAL Honesty, REAL Integrity and REAL Dedication to my clients and my community. I have years of experience helping people buy and sell their homes with the highest level of service, regardless of the price range! With me, you are NEVER just another transaction. Also having worked in the property management/maintenance field, and having personal experience buying and selling several of my own single family, multi-family, and a commercial investment property, my approach to real estate is a more holistic approach. Together we will consider location, condition, value, and in the end, what makes you happy! I know first hand as a seller what it takes to properly prepare, market and sell a home for the best price and terms. I also know first hand as a buyer what it takes to investigate, negotiate a fair price and the best terms. My negotiation skills are strong but fair and I’m not easily intimidated by a challenge. My keen eye for spotting and pointing out potential problems have helped both my sellers and buyer clients to avoid many issues during a transaction. Home staging suggestions and home improvement ideas are also part of the professional cache that I share with my clients. – I’m currently living in the amazing Pearl District of the NW Portland area with my husband Larry. Ever since setting foot in the Pacific Northwest, and Portland in particular, we were hooked. Portland offers the lifestyle of a big city but also offers unique urban and suburban neighborhoods – each with their own special flavor. From the urban feel in the downtown area, to the lush green parks, green spaces, and wilderness, Portland is like no other city I’ve ever experienced – and all within a walk, bike adventure, train ride or quick drive away.And don’t forget, it’s just a short drive to the gorgeous coast! I can’t even begin to tell you how grateful and excited I am to have found Living Room Realty. It’s amazing how Living Room’s philosophy aligns with my own way of doing business – maintaining excellent and connected client relationships, having the highest regards for professionalism and ethics, collaborative colleagues, and giving back to our local community! For me, this is truly a match made in heaven! – I grew up in the small town of Grand Ledge, Michigan where I began my real estate career at age 23. I was the youngest in a six agent office. I was extremely fortunate to have worked along side my father, who owned his own real estate agency. Not only did I learn the ropes of the real estate and property management business, but more importantly he taught me that true success is measured by how well you serve your clients and your community. An important lesson I have never forgotten… Thanks Dad! Also during that time I invested in and managed a multi-family property, I ran my own property maintenance business, and I assisted in the property management of my family’s residential investment properties. in 1989 I moved from Michigan to Santa Cruz California where I raised an amazing and talented son who graduated in 2018 with honors from the University of San Francisco (proud papa). I witnessed the real estate market crash and recovery, and was able to help people avoid losing their homes, helped renters become homeowners, helped Californians relocate to more affordable places, and welcomed new-comers to the beautiful Santa Cruz area. I also spent several years working with the City of Santa Cruz parks department and the UC Santa Cruz facilities department doing project management work, supervising amazing teams, and maintaining buildings and grounds. If you’ve gotten this far, you may have figured out that my approach to the real estate business may be a little different than others – that’s okay by me. Whether you are new to the beautiful Portland area or have lived here a lifetime, I am dedicated to making sure that your next real estate transaction is much more than just that. I truly love working with people from all walks of life, providing dedicated personal service, strong negotiations, and problem solving skills. Oh, and I definitely love having a bit of fun along the way! p.s. When I’m not busy working, you might spot me out exploring the city (sun, rain and snow), hiking, biking, gardening, home improvement projects, taking photos, or out for a stroll with hubby and the dog. …or doing my best to save the world! Know anyone thinking of buying or selling in California? Because I have built strong professional relationships with many other great agents in California, I am able match and connect relocating clients with someone in California that will take care of my referral clients as well as I would myself. "...you are a spectacular, warm, funny, caring and intelligent human being!" My sister and I are both so fortunate that you came into our lives as our real estate agent. The selling of our Dad's estate was a daunting and lengthy process. 6 escrows and you stuck beside us with determination and loving support through this emotional process. You were there without hesitation anytime we needed support, encouragement or just a shoulder to lean on. You were so educated about the complications of the rules that buyers had to meet in order to qualify for the purchase. Paul, you are a spectacular, warm, funny, caring and intelligent human being! I am so blessed to have gotten to know you personally through your excellent talents as a real estate agent. I highly recommend you to anyone selling or buying a piece of real estate (In fact I have). “…Thank you for your generosity on our family’s behalf. “. Thank you for your generosity on our family’s behalf. We all would whole heartedly recommend you as a realtor. Your honesty, integrity and expertise as well as your tremendous kindness and thoughtfulness made the emotional and intense process of selling mom’s house manageable and very successful. Anyone buying or selling their home would be very wise and fortunate to have you as their realtor! “…was endlessly patient in helping us find and purchase our first home”. A search that began roughly 11 months earlier. It was a tougher-than-usual search in an already tough market, because we had specific needs that we wanted in a house that were hard to meet within our price range. We were deeply grateful for Paul's reassuring guidance and strategic thinking throughout this long process, from accompanying us to many open houses through the bidding and negotiating stages. He's sharp, diligent and a font of experience on home maintenance and repair issues, but what I appreciate most about him is his steadfast honesty. I felt Paul truly looked out for our best interests in our interactions with sellers and their agents. He also has a zany sense of humor that helped get us through many anxious moments! Anyone buying or selling a home would be lucky to have him as their realtor. He worked tirelessly on our behalf, often going above and beyond to do research that helped us find the best house possible. The house we bought was an atypical real estate venture, and Paul went way out of his way to find learn everything he could about it and help us find the best value. This was the second house we had bid on with Paul - the first took endless hours. Even though we didn't get the first house, he continued on with the second bid with equal optimism, patience and dedication to our family. I highly recommend him! “…Because of you, we went from being renters to very happy homeowners”. Thank you so much for everything you’ve done for us. Amazingly, we did not seek out your services, but rather you found us through that ad we placed seeking a house to rent. Wow! We had no idea that we could actually afford to buy a home until you called us. Because of you, we went from being renters to very happy homeowners. We are so happy with our new home and your forethought and eagerness to help us find it! When we’re ready to buy our next home, you’re definitely going to be our Realtor! “…He was professional, patient, creative, knowledgeable”. Paul sold me my first house, and later a rental property. He was professional, patient, creative, knowledgeable, and somehow made a complicated process seem fun. I could not be more pleased with his services. “…He has an unusually strong work ethic and he is extremely resourceful”. If you are looking for a realtor who is intelligent, respectful, knowledgeable, and insightful, Paul Fortino is your man. Despite the long list of requirements we had for the "perfect" house, Paul was consistently hopeful during this roller coaster of a house-hunting ride. He has an unusually strong work ethic and he is extremely resourceful regarding both DIY and professional house work. Most importantly, he is one of the most honest people I know...you can be sure that he will look out for both the buyer and seller. Indeed, I don't think you can find a better person than Paul for your house buying/selling needs! “…It is hard to imagine better service”. Select Paul Fortino as your realtor, and you will not be disappointed! Of the various realtors I've worked with in the past (all very good), Paul's efforts were a level or two above. He's professional, knowledgeable, responsive, and his work ethic is remarkable. He generated great interest in showing our home, and sold it quickly at well above asking price. It is hard to imagine better service. “…he’s a warm and charming guy who really cares about his clients”. Paul Fortino helped my husband and I navigate the purchase of some investment property in the crazy Santa Cruz real estate market. He is a true pro with personal and professional experience deep in the real estate weeds. He made several brilliant suggestions that resulted in considerable tax savings for us and made the entire process from start to finish free of bumps, jolts and surprises. Paul's keen eye for construction issues was an added bonus. After the purchase closed, he went the extra mile and helped us navigate the rental process, finding us all of the forms we needed to contract with our new tenants. Not only is he an experienced and highly skilled Realtor, he's a warm and charming guy who really cares about his clients. 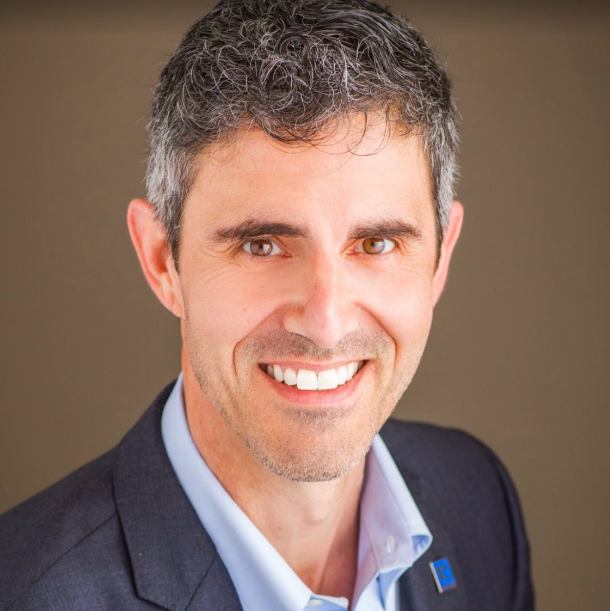 Paul is a true community builder: he makes an ongoing and genuine effort to connect with his friends and neighbors, clients and otherwise, to help improve the quality of everyone's lives. He has a wide-ranging network of contacts in the Santa Cruz area and was always ready with a suggestion when we needed one. Thanks to Paul, we had an effortless transaction and are now the happy owners of a beautiful property. “…went out of his way to do all sorts of things that I wouldn’t have thought were the realtor’s job”. Paul helped us sell our home and went out of his way to do all sorts of things that I wouldn't have thought were the realtor's job -- any time any glitch came up, even if it was our fault or a contractor's he stepped up and did whatever was necessary to smooth the way. I've bought and sold about half a dozen homes over the years and Paul was the most industrious agent I've worked with. He's also both warm and professional in his manner. “…he took the bull by the horns”. I Chose Paul Fortino to sell my mobile home after it sat for three months after another realtor had listed it and showed no enthusiasm. I called Paul and asked him if I could re-list it with him. From day one he took the bull by the horns and opened the doors for showing as much as possible. He's professional and personable and he gives you the confidence that he will sell your home in do time. Paul sold my home in two months and three others in the park in six months time. “…In today’s world it is difficult to find “old style” dedication and even pride in one’s work”. I have had several opportunities to hear Paul speak in public, and to exchange referrals in the community (santa cruz county area). As a local attorney who frequently works with couples selling or buying houses, and has interfaced with realtors for over 20 years, I come here today to say Paul Fortino is an amazing individual, highly (and truly) dedicated to his work. In today's world it is difficult to find "old style" dedication and even pride in one's work. Paul lives up to that standard, truly dedicated to you (his client), constantly working to build his connections, always watching out for ways to both save you money AND to accomplish what you need. You may already know, Paul has a slogan, "bringing the real back to real estate." I can tell you, he lives up to that standard. Paul is a joy to work with, you will feel taken care of, you will have that sense of "knowing" you made the right choice, and that things are going well. Thank you!! You are a legend and it was great working with you. All your hard work and attention to detail facilitated our successful transaction. Look forward to doing more business with you in the future. “…for many of them, it is about the hustle. Not so with Paul Fortino”. Yes there are many real estate agents in Santa Cruz. However, for many of them, it is about the hustle. Not so with Paul Fortino. He is sincere in his efforts to help you sell or buy a home. He is also very knowledgable about the area, so please give him a call. “…provided follow-up to be sure all objectives were accomplished”. I worked with Paul at UCSC for about 5 years. Not only was he a great co-worker, he was very detail oriented, completed projects, and provided follow-up to be sure all objectives were accomplished. I always knew I could count on Paul for every request.